Today we have once again something special with strong performance for the smaller purse – the Samsung SSD 850 Pro with 128 GB capacity. Nowadays many select a larger SSD to get the larger capacity and faster performance, so it is not surprising that we are testing mainly 512 GB or 1 TB SSDs. Our first test of Samsung is now more than 5 years and our last SSD test with only 128 GB is also a few years ago. Today, we want to change both with the Samsung SSD 850 Pro 128 GB and extensively test, if now the small SSDs can be as fast as large SSDs. We are excited by the results! 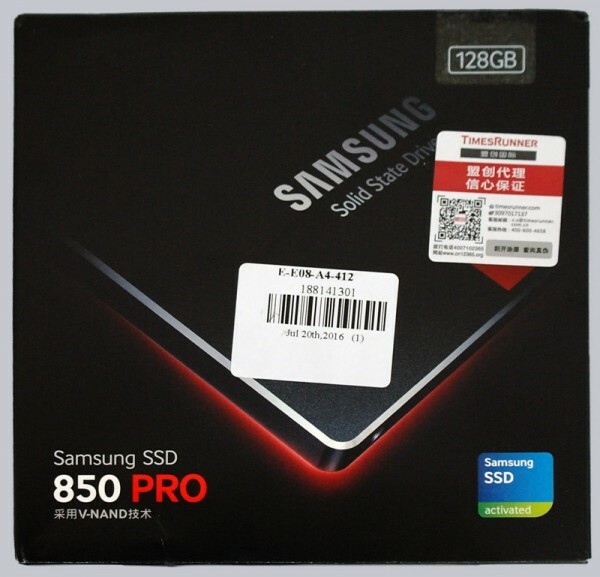 Many thanks for the support with the Samsung SSD 850 Pro 128 GB by an online retailer. The Samsung 850 Pro 128 GB SATA3 2.5″ SSD MZ7KE128 has at review date a price of approx. 90 Euro. 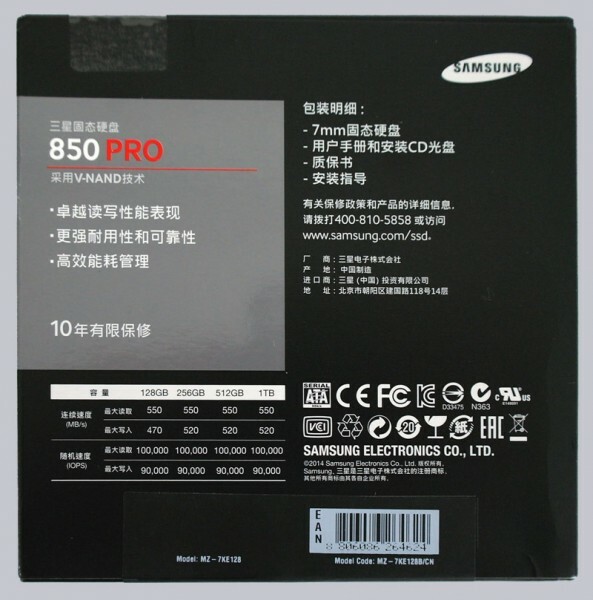 Samsung 850 Pro 256 GB MZ-7KE256, Samsung 850 Pro 512 GB MZ-7KE512, Samsung 850 Pro 1 TB MZ-7KE1T0 and Samsung 850 Pro 2 TB MZ-7KE2T0 – as SATA SSD. 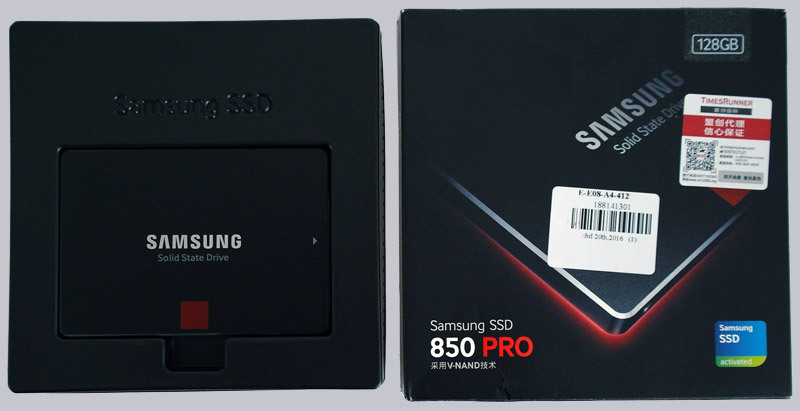 Here you can buy the Samsung 850 Pro SSD. The back of the Board is shown in Chinese, as we have received the SSD from China. But no problem to detect the performance which can reach each SSD capacity. After opening the box we see the Samsung MZ-7KE128 2.5″ SSD. Accessories are located under the black plastic. 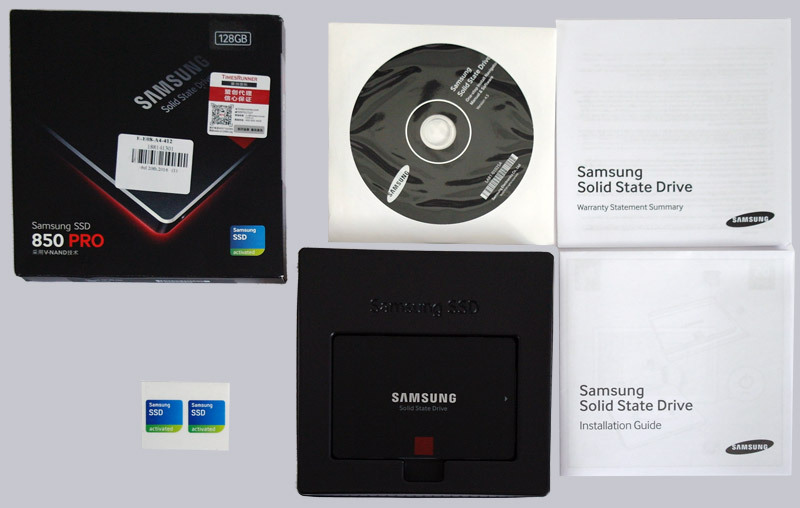 Here you can see the complete accessories: The Samsung SSD 850 Pro 128 GB was supplied with an installation guide, warranty information, two stickers and a CD. The Samsung magician software gives various tools for Samsung SSDs and with the Samsung data migration software can you transfer Windows from a hard disk (or an other SSD) to the SSD and thereby properly migrate.